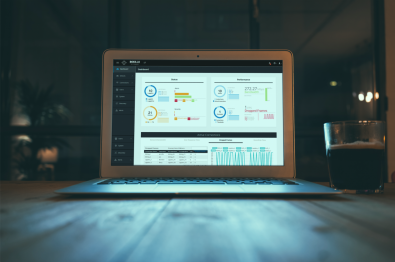 Black Box has unveiled Boxilla, a premier enterprise-level KVM and AV/IT system management platform, featuring a comprehensive and centralized command center, which provides unparalleled performance, ease of use and security. Centralized Configuration Management. Centralized upgrading sends firmware updates over the network. In addition, the configuration of various devices can be centrally backed up and restored, eliminating the need for a technician to go to each device to upgrade firmware or restore the configuration. Security. It automates security management. Boxilla captures all the end points in the system and can detect if hackers are trying to break in. In addition, it quickly identifies refused login or unauthorized login attempts so users know if they are being targeted for hacking. It then correlates that information and gets it back to the administrator quickly and efficiently. If security is compromised, the right people will know it in real time, getting detailed information within about 90 seconds of the event. Ease of use. Boxilla’s comprehensive and centralized command center makes it far more straightforward to manage everything, all across the enterprise. It sends automated commands to network switches and provides a central dashboard for authentication, access control, accountability, troubleshooting and device monitoring. It allows for the upgrading of thousands of remote devices with one click, without ever leaving your seat – let alone the building. Performance Monitoring. It is easy to navigate centralized management, monitor frame per second rate, network latency, dropped frames, bandwidth usage, and user response times. It actively keeps logs of user connections reporting on who’s connected to whom. It also enables device management by providing information on things such as an overloaded network switch, bandwidth usage or device status to address potential problems before they happen. Boxilla is designed for enterprise-level deployments with large-scale, mission-critical applications involving multiple end-points. In these environments, Boxilla’s ability to streamline and automate the communications between KVM devices becomes highly valuable. For everything from emergency rooms and 911 centers to classrooms and conference rooms, Boxilla is redefining efficiency, simplicity and functionality in high-volume environments. Boxilla is software upgradable and future-proof. In addition to InvisaPC and virtualized end-points, upcoming planned upgrades in the near future will enable support for other Black Box product families, including DKM, Agility, ControlBridge and Coalesce.